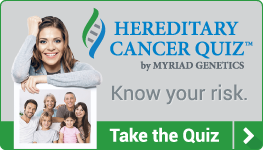 If you’re ready and interested in making a difference and having an impact on the world, you can do it at Myriad Genetics! Watch this video to learn more about who we are. Explore the wide variety of career opportunities at Myriad and discover how you can contribute to our culture of teamwork, collaboration, diversity and discovery. Those who join us share the passion and sense of fulfillment that comes from making a difference in patients’ lives through the discovery of transformative products that enhance, improve and personalize patient care. On-the-job training and a support network provided to all new employees. Women’s Leadership Forum mentors, fosters, encourages and inspires women in all stages of their career by providing access to role models, peer groups and other valuable resources. Spirit of Giving Awards program recognizes employees making an extraordinary contribution by volunteering their own personal time, financial efforts and resources to provide leadership and/or significant contribution to non-profit organizations that enhance the quality of life in the communities in which we operate. Service Award program recognizes and expresses appreciation of service to the company at five, ten, fifteen and twenty years.